Hello, fellow horse lovers and enthusiasts! 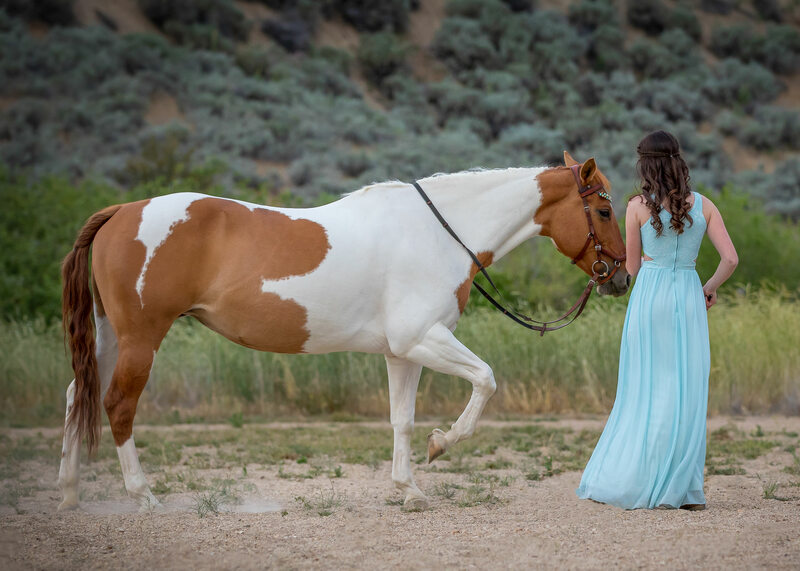 Since there was so much interest in me starting a horse journal, I was only too happy to oblige There's so much I want to share with everyone here about my horse Tessa and our journey together. I think I'll start with an introductory post and then expand on things later (most of you are probably wondering what in the world Dressage is). Okay, so I've been a horse lover all of my life. My parents hoped I would grow out of it and turn to a less expensive sport/hobby but it didn't happen. So they started getting me regular riding lessons when I was 12. I rode western for about a year and a half then switched to English when I leased a sweet little mare. I learned to jump on Maggie and would've bought her had she been physically able to keep working (she was very old). We found Tessa the summer I turned 15. It was truly a dream come true and an answered prayer. Anyone will tell you that there's no such thing as a perfect horse, but Tessa matched my depiction of a dream horse down to the star and snip on her face. Red Dun Tobianos are fairly rare so I didn't ever consider having the chance to own one...yet Tessa's listing popped up and there she was! 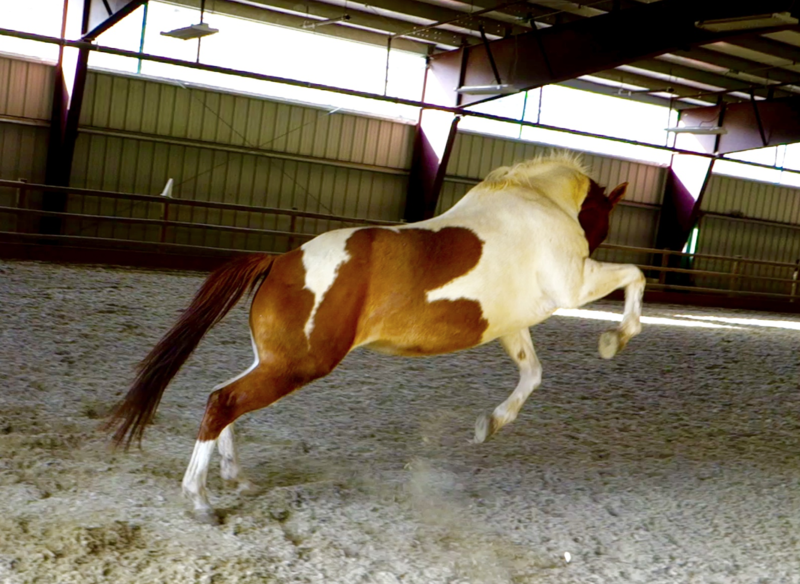 She is an American Paint Horse (my favorite breed as well). However, when we expressed interest in her there were already 4 people in front of us ready to pay cash for her. But the owners liked the idea of giving her to me so we got to take home this amazing girl! We didn't find this out until much later (in fact it took her bucking me off and breaking my wrist) but she was actually in a lot of pain. She had a lot of body issues that she was dealing with that she kind of just covered up. She was unbalanced, her muscles were tight, she had a gastric ulcer, and all around uncomfortable when asked to perform movements. And so I stepped into the world of horse bodywork. I got to know our horse masseuse very well. She showed me massages, stretches, and physical therapy exercises to do on Tess to keep her limber. My trainer focuses on the development of the horse and rider as a whole, from the core muscle all the way to the tilt of the shoulder. She gave me exercises for myself and groundwork for Tessa. While my wrist was healing and I couldn't ride, I uncovered a new realm I had always wanted to try but hadn't stepped foot in: Liberty. Anyone who has seen the show series Heartland will have an inkling of what liberty looks like. 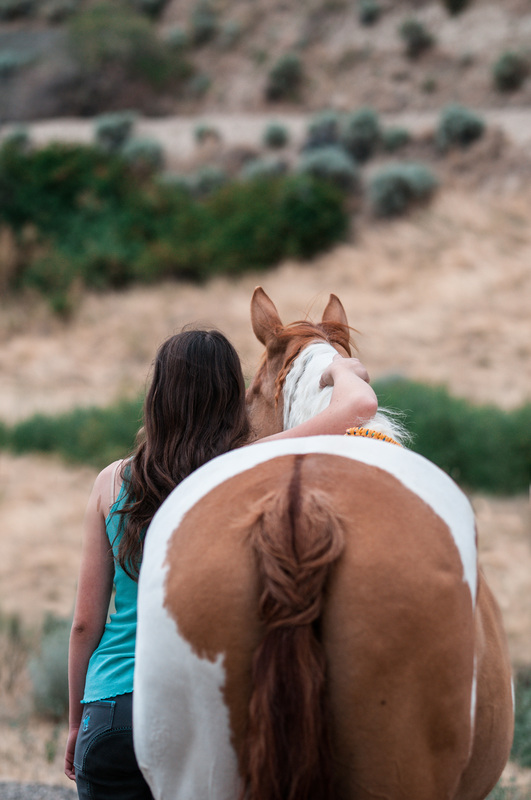 The idea behind it is that there is no pressure or ropes tied to the horse...she can choose to stay with you or not. This is also where I introduced the clicker. Many of you have probably clicker trained your budgies, but I carried it over to my horse The concept is the same: click to mark the desired behavior and then reward. Tessa blossomed. She gets so pleased with herself when she figures out what I want and I LOVE seeing the gears turn in her head. I can now ride her tackless and she knows a handful of tricks like bowing and the spanish walk. She will canter free at my side and loves every moment of it. I also brought the clicker into our riding. As I mentioned above, I do dressage with her. It wasn't always that way, though. I wanted to turn her into an Eventer. This is a 3-day event with one day dedicated to show jumping, one to cross country, and one to dressage. I always thought dressage was going to be easy...oh how wrong I was. Turns out neither Tessa nor I are geared toward jumping but the graceful dance of dressage appealed to both of us. We have started showing this past summer and are looking toward another one next month. I tried to link my other threads of Tessa floating around (mostly consisting of a photoshoot of some sort) but my computer wasn't cooperating. I'll try again later...but you can find them all under my profile. I will talk about dressage in the next post probably. I'll try to expand more on liberty and tricks and whatever else too. Once that's all accomplished, I'll use this for periodic training updates. For those of you wondering what a "Red Dun Tobiano" is and didn't just google it, you are in luck! I'm a genetics nerd but here's the quick rundown: a regular dun horse is tan with a black mane, tail, legs, and a dorsal stripe running down its back. Think Spirit from the best movie ever, Spirit Stallion of the Cimarron. A dun horse is then bred with a chesnut, the generic brown horse with brown...everything. This results in a peach colored body color and a dark red dorsal stripe, mane, tail, and legs. So there's the red dun. The tobiano part is specific to Paint markings. A Tobiano is a white horse that has patches of body color, as opposed to an overo which is a horse that has white patches on its body color. Put it all together (the pictures below should help) and you get a red dun tobiano! If Tessa were solid she'd have a dorsal stripe all down her back and all dark red legs. So she just has a small dorsal stripe and one dark leg where the white paint markings don't cover. 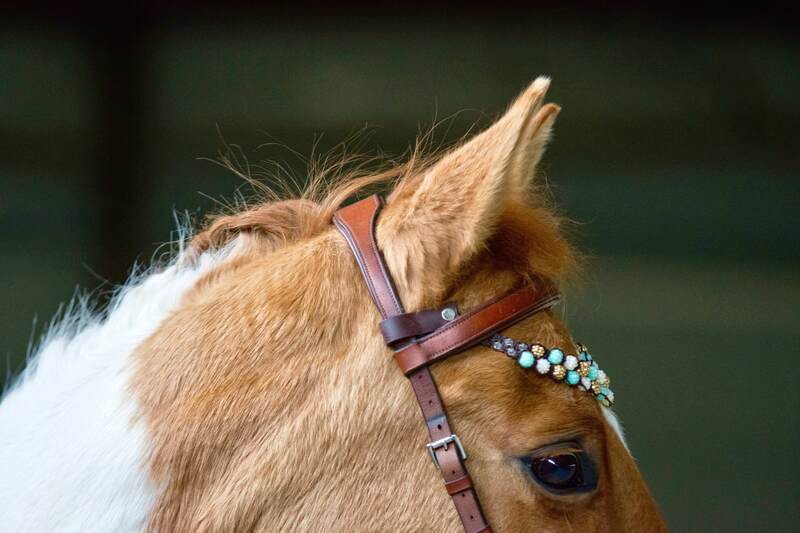 Also, you'll notice her bridle looks different than most. It's specifically designed to avoid pressure points on the horse's face which matters a lot to my sensitive, opinionated girl. What's known as "in-hand work." Essentially I replicate everything I'd do on her back on the ground. Reminds me of my XC days, except I'm running laps and helping support a 1000 lb animal. She can now walk, trot, and canter in-hand with me at her shoulder. I'll post more on this later as well, since it's super fascinating. What a great story and history you have with Tessa, she is a beautiful horse. I am sure that the two of you have a very special bond. It's so rewarding to be able to have that bond with an animal. I'm loving Tessa's story and will be looking forward to learning much more about her, your events and your very special bond! Katie, that was very interesting to read! Thank you for explaining everything. I’m really looking forward to keeping up with this thread . Beautiful pics as always! Haha yes the horses need to be as invested in the sport as the rider. They are full of personality and each horse has a unique thing to teach. It's why I love the opportunity to ride as many horses as possible; it makes you well-rounded rider. Okay, time to explain this wonderful term. "Dressage" comes from a French term that literally translates into "training." It is often considered the highest expression of horse training. As a horse moves up in the levels, it becomes more physically demanding. In fact, they have a minimum age (7 years old) for horses competing at the top level. I've mentioned some of this in the first post but going to restate before delving deeper. Dressage is all about initiating both the rider's and horse's core muscles so that every external muscle is relaxed. This gives the horse freedom to move and the rider should look like they're "just sitting there." The better you are at dressage, the more it should look like you're doing nothing when, in fact, you are doing everything. Even though dressage is often referred to as Horse Ballet, it originated on the battlefield. As you can imagine, riders didn't have time to wait for a horse to understand and held weapons in their hands (making steering with the reins difficult). They learned to ride from their seat and get so connected with their mount that they would respond almost before they asked. If they didn't, it could mean the difference between life and death. Okay, I'm going to post some complicated-looking diagrams to show some of what you want to see in a horse moving correctly and correct posture as a rider. These photos are from Google Images. 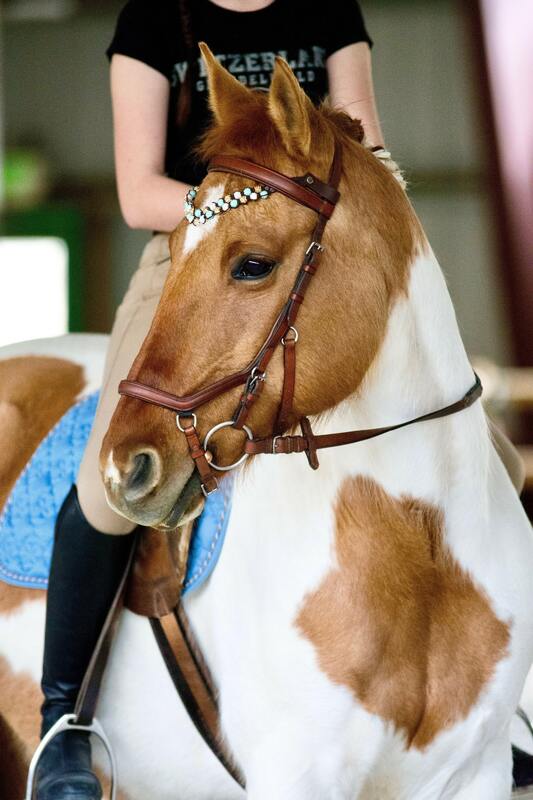 Externally, you should be able to draw a straight line through the rider's ear, shoulder, hip, and heel. The more muscle and balance you gain, you should be able to drop your stirrup length more and get a longer leg. You never use your lower leg if you can help it; instead, it should drape and all the steering should be from your seat and core. Another way to check a rider's position would be to take the horse out from under them and see if they'd land on their feet. If they wouldn't (say, leg is too far forward) there's something you need to correct. Okay, time for the horse! 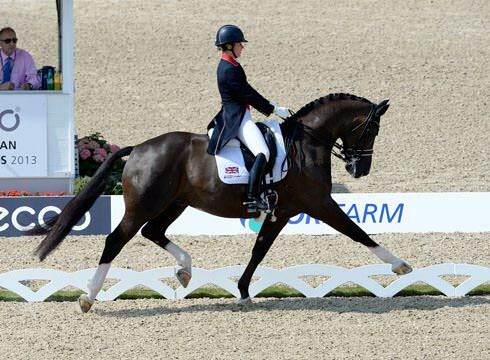 Dressage is really about recapturing how a horse was designed to move. In the wild, they'd all be moving like this. However, when a person's weight is added to their center of gravity and so influential over them, a horse develops coping mechanisms. They hollow their back to avoid the bouncing of the rider, they tense their jaw to avoid the pinch of the bit, they throw themselves forward from the front end as the rider's imbalance forces them to do so. What I love about dressage (well, one of the many things) is that moving correctly feels good for both the horse and rider. I used to have imbalances I wasn't even aware of. Because Tessa is so sensitive, she was a great teacher and uncovered all of them. For example, if I was leaning an inch to the left, she would counterbalance and lean 6 inches to the right. A horse is a mirror of the rider...you can't hide anything from them! 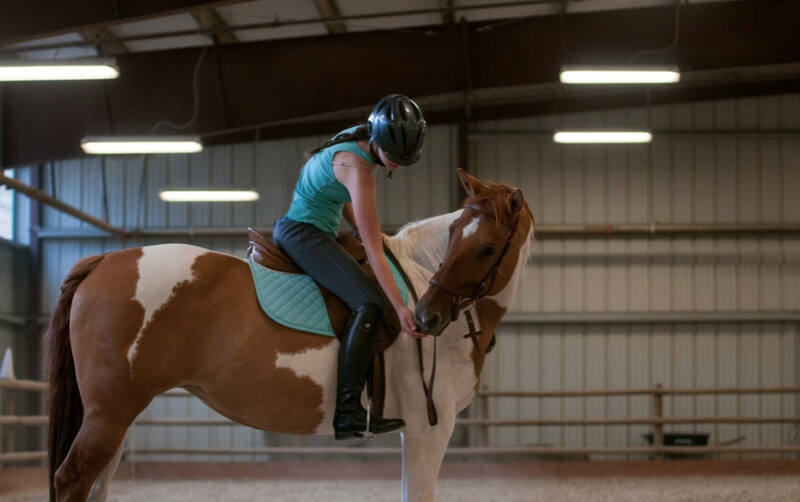 But once the horse starts to understand that it doesn't hurt them, they will use their core to lift themselves up into the rider's weight (called a round back). They will seek the comforting contact of the rein (called on the bit). Dressage is all about riding the horse's hind end. It's their motor and shock absorber. 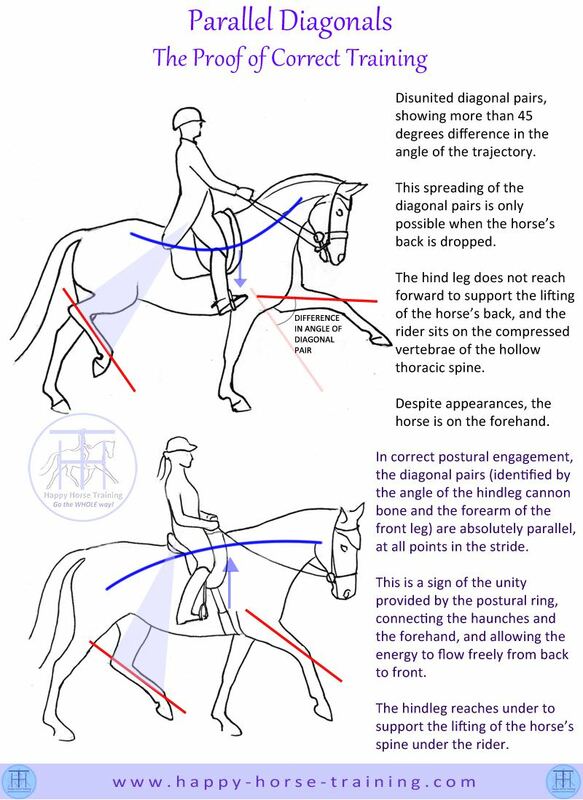 This is why it's so important for the seat bones of the rider to be steady- it encourages the horse's hind ends to connect and engage with the rider. A horse should be "carrying through." 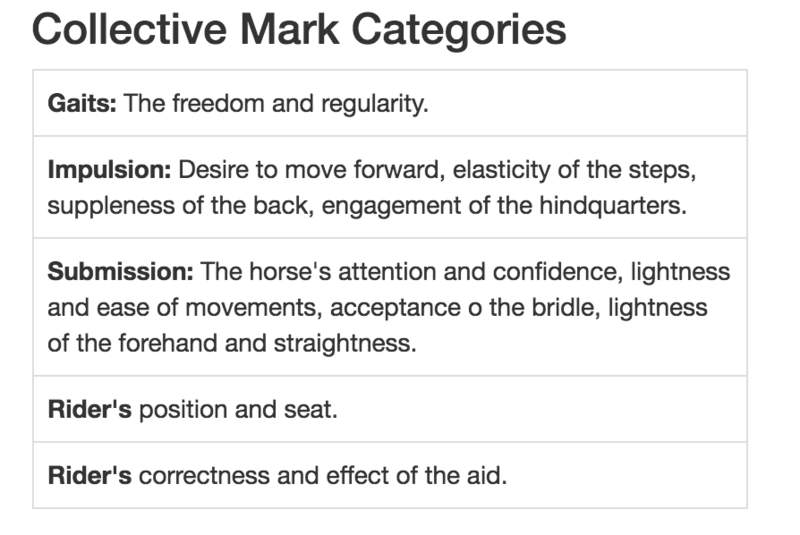 Meaning, the energy from the hind end should be allowed through the rider's hips and travel up to the poll (which should be the highest point), resulting in a relaxed, dropped head with a soft mouth engaging with the bit. This is often why dressage gets a bad reputation; people take shortcuts and throw harsh bits into their horse's mouth and force them into what's known as a headset. It may look pretty to the unobservant eye, but they are often behind the vertical and locked in place. For a horse to be on the vertical, they must be balanced enough to move from their core and hind end, allowing the front end free motion. The horse naturally uses their head and neck for balance, so when they are balanced enough from their core they are able to drop their head. 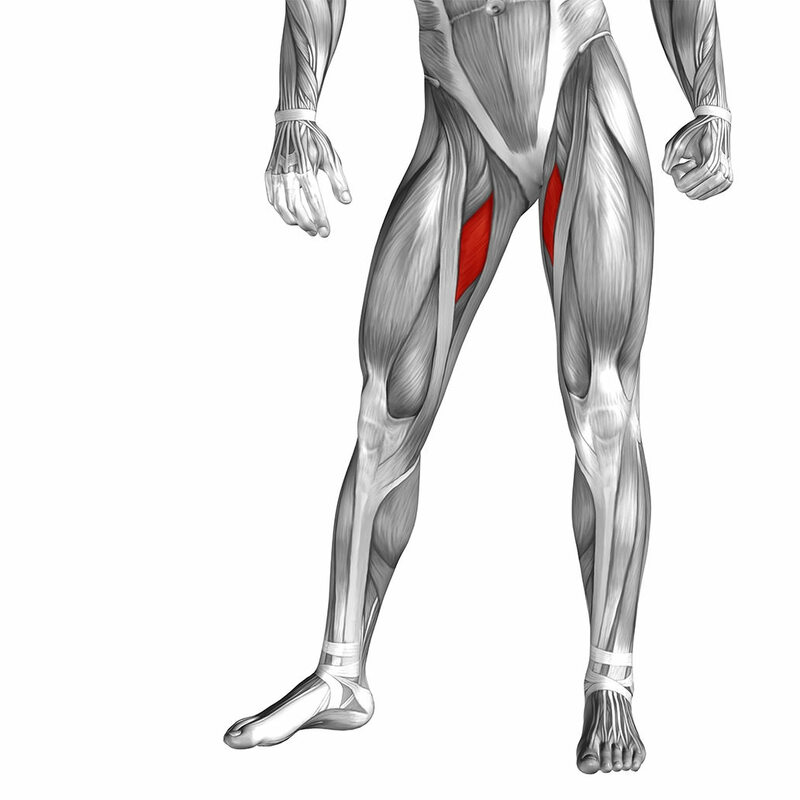 They should be able to flex (bend in direction of turn) and counterflex (counterbend/ opposite direction of turn) independent of the rest of their body. In the picture I used to describe a rider's posture, follow the arrows to see how the energy travels. Let's talk about some uses of tack. I already mentioned the bit, but I would like to add something to it. You never, ever want to be pulling on the horse's mouth or bracing your hands. This pulls on the bars of their mouth and is very unpleasant for them, leading them to avoid contact. Instead, contact with the bit should be like holding hands with someone...always there but not constricting. It enables the rider to make subtle corrections and aid in softening the horse's jaw. Steering is all done with the seat, but a little sponge with the outside rein can serve for the horse to think about going to the outside. Many people think, understandably so, that to turn a horse you pull the rein in that direction. Yeah...not quite. You can have a horse's head pulled all the way in one direction and they could still move another. As I've said, reins aren't used to steer the horse. When you do use them, it's all about the outside rein (so, if you were going to the left your right rein would be your outside rein). The reins can serve to flex a horse or counterflex, as well as soften the jaw, etc. In a flexion, the horse should bend from the poll (like a hinge) and do so without leading with their nose (a cop-out on the horse's part). Below is a horse correctly flexed to the inside. I'm going to try to bring this post to a close with a few last tidbits. 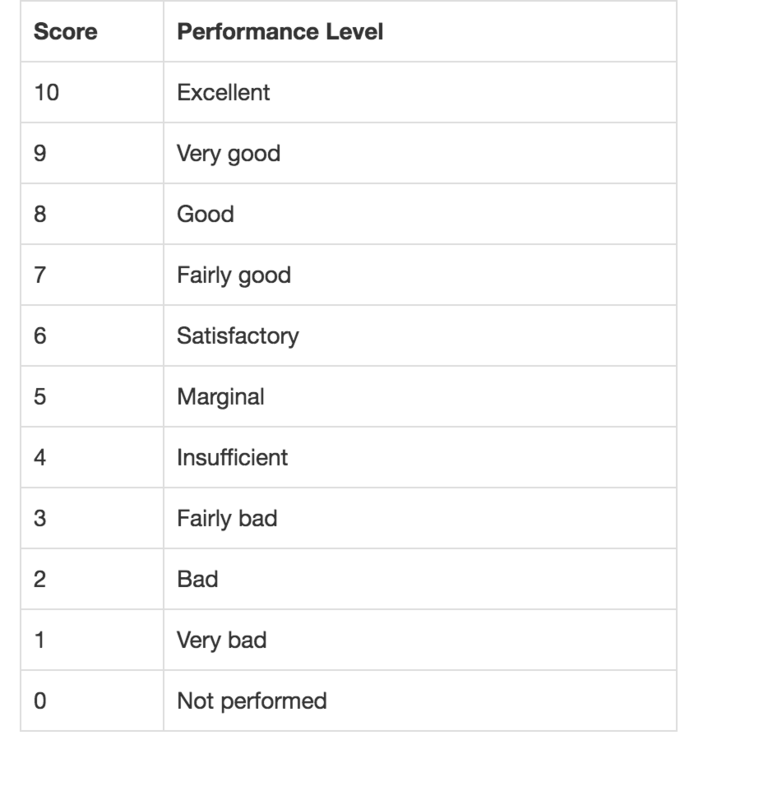 In a dressage test, a 60% or above is considered impressive. As a student that gets upset with anything less than an A, this has been a learning curve for me. Below are some of the things the judges are looking for, taken straight from the USDF (United States Dressage Federation) website. 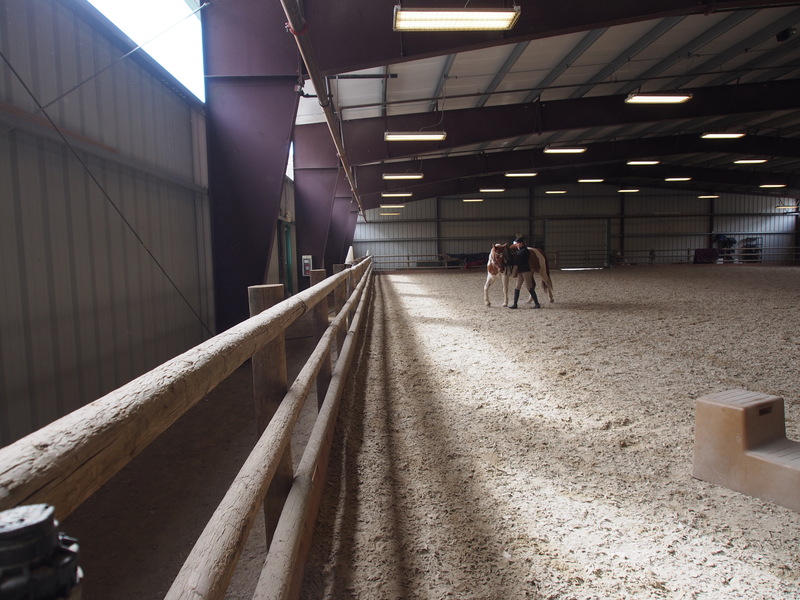 While 3 gaits are utilized in dressage (walk, trot, & canter) there are innumerable ranges in each one. 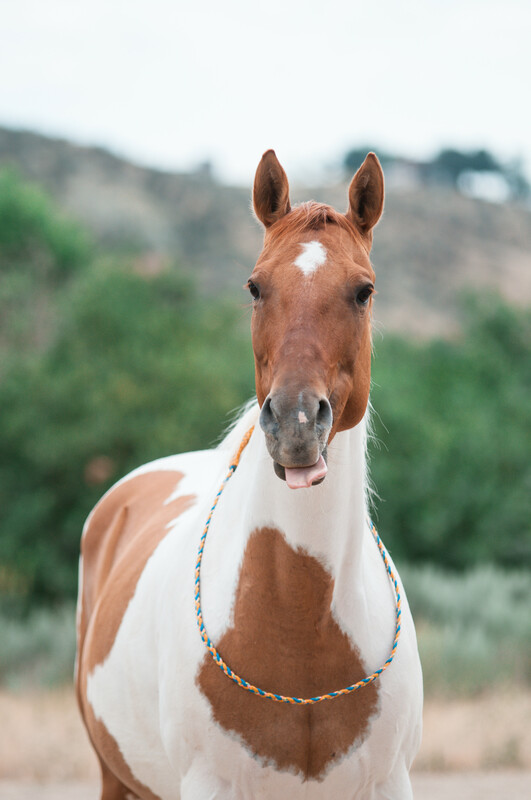 You may be asking a horse for an extended or collected trot. Or perhaps you want a leisurely lap around the arena, or a medium walk, or a free walk...the possibilities are endless! 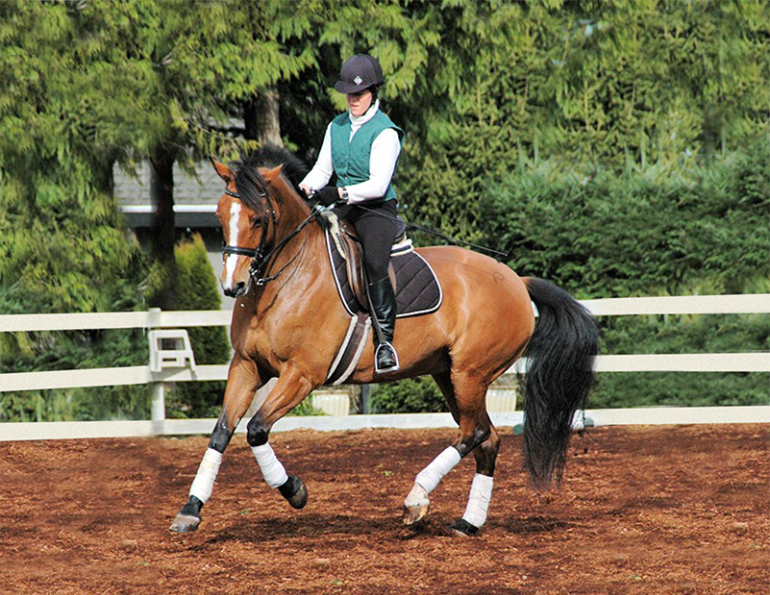 A rider allows more or less motion through their hips and this tells the horse to the degree they are asked to move. I'll end it there as if you made it this far I'll be impressed Below is one of my dressage heroes, Charlotte Dujardin on Valegro. His extended trot has to be one of my favorite gaits. I made it to the end, it's fascinating and the physics of it make perfect sense. Thanks for posting it, looking forward to the next edition. I made it to the end and then went back and read it all again. All I can say is "WOW"!! Very impressive and quite enlightening to someone who has/had no knowledge whatsoever when it comes to dressage. I love that the rider and horse become so much more "one" in this type riding. Wow!! I loved reading all about Dressage, the history of it, and the biomechanics behind it. As with anything, there is so much more to the sport than meets the eye, and I can see it’s quite involved and takes time to learn. This is so fascinating for me to read .